Tired of all those apps that you no longer use taking up space on your computer? 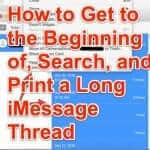 If you have apps that you no longer want to use on your iPhone or iPad, you may have tried to figure out how to delete them permanently from your Mac, Macbook, or other computer. And you may have been frustrated to see them popping right back up in iTunes, and taking up space. Here’s how to delete iPhone apps and iPad apps permanently from your computer. Of course Apple couldn’t make it obvious or straightforward. But it’s easy once you know how. Below are two different methods for permanently removing unused iPhone and iPad apps from your computer. 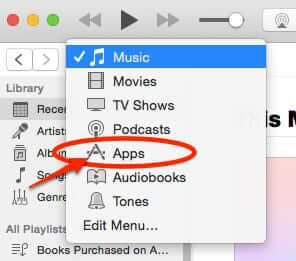 Open iTunes on your computer, and from the dropdown menu, which usually defaults to the Music section, select Apps. 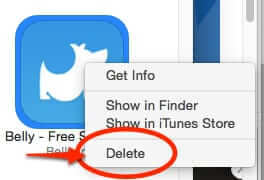 Select the app that you want to permanently delete, and control-click on it. That will give you the following pop-up menu. Click on ‘Move to Trash’. If you have more than one app that you want to permanently delete, you can select several at once by command-clicking on each one that you want to delete. Then control-click on one of them, and when the ‘Delete’ pops up, click it – it will delete them all. This method moves all of the deleted apps to your Trash folder. The easiest way to do this is to type ‘Mobile Applications’ in the search bar in Finder. 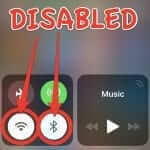 In the Mobile Applications folder you will find all of the Iphone and iPad apps that are resident on your computer, and you can manually delete away to your heart’s content. This method will also move all of the deleted files to your Trash. Whichever method you use, once you have deleted them all, be sure to empty your trash on your Mac! Prev You Can be Easily Stalked through Facebook Messenger Even if You Don’t Have Messenger Yourself! 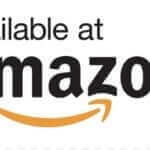 Next New “NOTIFICATION – Storage Full” Phishing Spam – Don’t Be Fooled!